5 Self-Care Tips to Practice in 2017!!! Women. We just do it all, don't we? Not only do we bring home the bacon (and cook it too! ), we find the time to manage a budding social life, pursue our career aspirations, devote our time to noteworthy causes, become romantically involved and still manage to look halfway decent! It's a tough job, but someone… Continue reading 5 Self-Care Tips to Practice in 2017!!! Happy Saturday loves! Stopping in to tell you all about another great event coming to the city of brotherly love and sisterly affection. 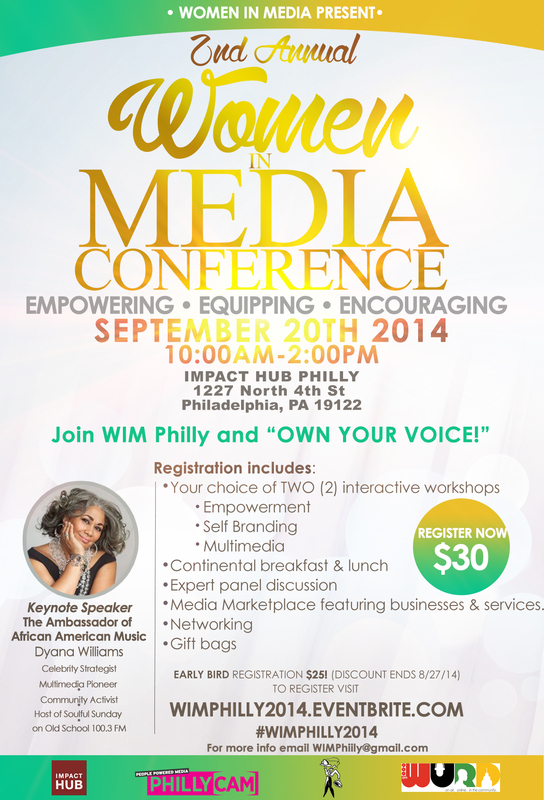 The Women in Media Conference is taking place next Saturday, September 20, 2014 here in Philly. Fellow bloggers, writers, journalists, and media professionals, if you’re in the area please come out to support this awesome initiative. Check out the release below for more details.